I read 113 books in 2012. I was pretty impressed with myself. 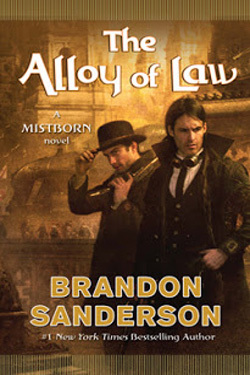 I like Brandon Sanderson’s Alcatraz series (middle grade sci-fi) and what he’s done on the Wheel of Time series. But his Mistborn books have been a little hard for me to get into. This is #4 in the series, and it’s a fantasy novel with western and almost steam-punky elements. And it was absolutely wonderful! The plot was well done, pacing just right. The characters were great and believable. The writing was fabulous. And I didn’t get lost in all the metal chewing stuff. If you like fantasy with a new twist, give it a try. 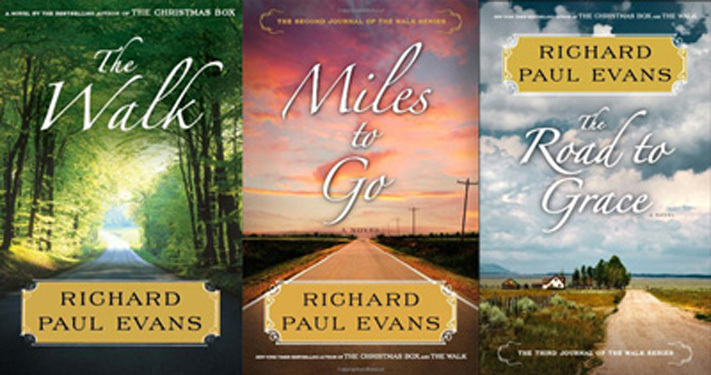 I never thought Richard Paul Evans would end up on my Top Reads list. Ever. I just do not like the type of books he writes. Nothing against him or people who do like him, just not my cup of cocoa. Even his Michael Vey books (YA Speculative) aren’t my favs—great concept but awkward delivery. But this series took me by surprise and pulled me in. I read all three books of this series this year. That should tell you something! I read the first book, The Walk, by accident, thinking it was a 2011 Whitney finalist. That was a serendipitous mistake. I LOVED IT! I immediately read Miles to Go, and then The Road to Grace as soon as it came out. There is just something about this man, Alan, who has lost everything and is walking across the country with nothing but a backpack that speaks to me on a very deep level. I love the characters he meets along the way, and the insights he has. Very good. I read two of Daniel Coleman’s books this year, Gifts and Consequences and Hatter. It was hard to pick just one. I loved them both and recommend them. But I really, REALLY loved this take on the Alice in Wonderland story. 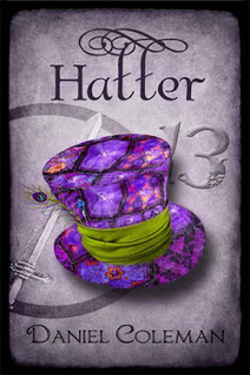 Told from the Hatter’s point of view and also that of his brother, it’s both entertaining and thought-provoking. It puts a whole new and fresh spin on the story. Definitely worth the time to read it! Coleman has a third book, Jabberwocky, that’s on my To Read list. As will be anything else he writes in the future. Great writer! I loved this book. I liked Theresa Sneed’s previous book, No Angel—it was okay. I wouldn’t call it one of my favorites, but I liked it well enough to give this one a try. I got it as a freebie, but then I put off reading it for months, and honestly, picked it up this past week only because I didn’t have anything else to read. I was actually thinking that I’d read for a bit and then take a nap. No nap for me!!! This story is excellent. It’s got great characters, good dialog, lots of action, and a very interesting take on pre-mortal spirit life—including interplanetary travel, the ability to change the way you look in an instant, unique animals, and an awesome sport where teams compete in an interplanetary scavenger hunt. Add to that the classic battle between good and evil (Freedom Fighters and No Choicers) AND the classic YA love triangle, one girl choosing between two boys (one clearly good, the other not so much) and you’ve got a story that will appeal to teen girls everywhere. Both boys have positive traits that make them attractive to the reader. At the end, I wasn’t 100% convinced as to which boy I wanted Sophia to end up with. Paranormalcy, the first book in this series, was my #1 top read in 2010. The second book, Supernaturally, would also have made my list, had I done one in 2011. Endlessly rounds out the trio perfectly. I was very pleased with the book and with the way this series ended. Some trilogies sort of whimper at the end but this one was awesome! I loved all three books. I have them both in print and in ebook format. 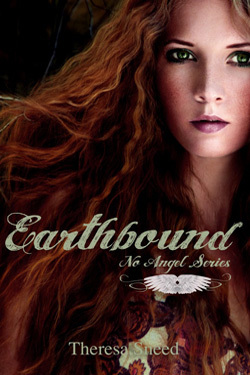 This is definitely one of my all-time favorite YA paranormal series and Evie is one of my favorite YA characters. Clever and funny in lots of unique ways, I love this author’s writing style and look forward to what she comes up with next. Yes, I know this is four books here. I cheat. Sue me. This is another series of which I have both the print and the ebook versions. I’ve never seen anything quite like it. These books center around the lives of four women who are part of a book club, with each of the four books written from a different character’s point of view, and written by four different authors. Yes, there’s a little cross-over in the plots but it’s not at all repetitive because you see it from different viewpoints. I loved all four of these books (although I have to say that Daisy by Josi S. Kilpack was the one that made me cry the most). I think that this is some of the best writing I’ve seen from these four authors. 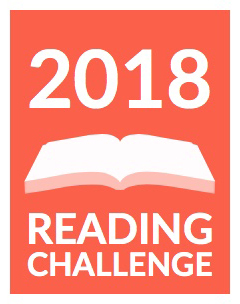 I highly recommend them, and although it’s not necessary, I recommend reading them in the order they were published: Olivia by Julie Wright, Daisy by Josi S. Kilpack, Paige by Annette Lyon, and Athena by Heather B. Moore. I can’t wait for the next four books, featuring four more women from the book club! I like everything that Dan Wells has written so far. I loved his John Cleaver series (I Am Not a Serial Killer) and I really like Partials (book #1 of a new series, which at this very moment is only $10 in hardcover at Amazon). I even loved his ebook, A Night of Blacker Darkness, that was up and then gone quickly (but I think soon to return) (I hope). But this year, my favorite of his books was The Hollow City . This is a quirky, freaky, dark and twisty read where you never really know for sure what’s real and what’s not real. And that is what makes it such a good read. Is Michael Shipman (the main character) a seriously deluded schizophrenic with absolutely no grasp of reality, and possibly a killer? Or are some of his delusions real? Still makes me shudder to think about it! I love Kimberley Little’s writing style. Both her books, The Healing Spell (loved it too! ), and this one, are set in the deep south. Her dialog and descriptions absolutely transport you there. Her characters are rich and wonderful and 100% believable. 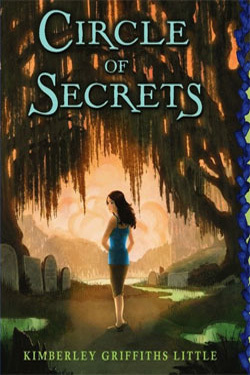 The 11 year old main character in Circle of Secrets has to go live in the bayou with the mother who abandoned her, and who has the reputation of being the local swamp witch. It’s a tough situation for a young girl that is exacerbated when she realizes that her best friend is really a ghost. Normally, I don’t do ghost stories. They really freak me out. But this one wasn’t frightening. It was intriguing—and I loved it. I’d recommend this to middle grade readers who don’t mind a little magic in their books. A stellar debut by a new author! I loved it. 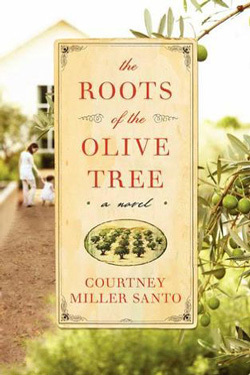 Santo gives us a look into the life, the trials, and the triumphs of a family of women—an unbroken line for five generations, from Anna at 112 to Erin, a young single mother. Each of them has a turn in the book, sharing their viewpoints and their secrets with the reader. Very well-written and I could identify and empathize with each one of them. They all have their strengths and weaknesses, their humor, their poignancies. It’s a sweeping generational saga that kept me captivated the entire time! Very good and I highly recommend it with one caveat: There is some strong language and a few sexual references that made me uncomfortable. Another stellar book by a debut author. Classified as middle-grade historical fiction, this is a story that will appeal to readers young and old. Ollie is the daughter of a traveling preacher, Reverend Everlasting Love. When they arrive at a new town to hold a revival, Ollie meets a boy whose mother is in jail for murdering his father. We learn the secrets of this boy, his family, and the town little by little as the author weaves us through the several days of preparation for the revival. The characters are wonderful—each one well drawn and complex. The story line is complex as well, with plenty of mystery and surprises. A beautiful story on family life, sacrifice, friendship, courage, and love. 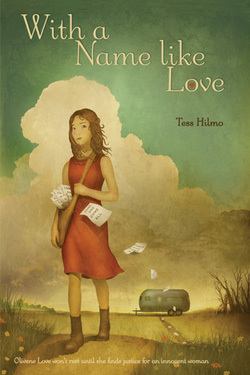 Hilmo has an amazing writing voice and I can’t wait to read more from her. These are a few more books that I loved and wanted to mention here. They are listed in alphabetical order. Aura by Rebecca Talley: YA paranormal. Good read for teen girls. A little violence but clean. No worries about gifting it to your daughter. Captive Heart by Michele Paige Holmes. I’m not a big fan of westerns or of romance but I really liked this one. Girls Don’t Fly by Kristen Chandler. YA contemporary, coming of age book. This was #11 on my list. I loved it. It looks at they way guys can manipulate girls and that people aren’t always what they seem. I love the way Myra grows and changes. I think every teenage girl should read this! Clockwork Prince by Cassandra Clare. YA fantasy with strong steampunk elements. One of the few series that do steampunk well—enhancing the story rather than taking it over. Crossed by Ally Condie. YA dystopian. Lots of dystopian out there right now. I like this series. I liked the first book, Matched, a little better but this one is still really good. #3, Reached, is on my To Read list for this year. Rearview Mirror by Stephanie Black. I love Stephanie’s twisty suspense novels. What can I say? Sean Griswold’s Head by Lindsey Leavitt. YA contemporary. Deals with some difficult events that made my heart ache, but this book also made me laugh out loud. A great mix of up and down. #12 on my list. What were your favorites in 2012? this is a great list–I’ve read several of your top ten and felt very similar to you. Great list! Lots of them are my favorites as well. 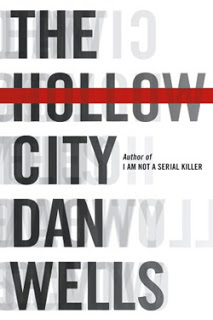 I love CIRCLE OF SECRETS, SEAN GRISWOLD’S HEAD, THE HOLLOW CITY, THE ALLOY OF LAW … so many.